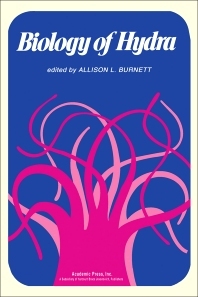 Biology of Hydra covers eight areas of Hydra biology, particularly, its behavior and ecology; polarity; gastrodermal and epidermal regeneration; differentiation of nervous elements; cell proliferation and morphogenesis; and mesoglea. This book describes, in particular, the various aspects of Hydra's behavior, not obvious in casual observation, as well as the animal’s feeding and digestion. It also looks into the contribution of interstitial cells to the regenerative process in Hydra; the ultrastructural changes during dedifferentiation and redifferentiation in the regenerating, isolated gastrodermis; regeneration from isolated epidermal explants; and regeneration of a Hydra containing no interstitial cells from an isolated basal disc. Furthermore, the book explains the grafting of the gastrodermis of Hydra viridis to the epidermis of Hydra pseudoligactis, and the results of such agraft on two animals sectioned for histological study. It examines the role of the neoblast in regeneration and the ultrastructure of Hydra’s nervous system. The book also explores Hydra’s growth and the contribution of cell proliferation to net growth and maintenance of form.